If anyone wants to know why I feel like this, feel free to ask me or just read this blog. I’m not going to try to justify my dream because the visions I have for this dream belong only to me and I truly believe in them. Here are the 10 steps Microsoft needs to execute to achieve a world changing concept by creating the most powerful data comprehension software ever created. They could easily do this if they wanted to, but sadly there is essentially no chance of it happening because too many egos would get in the way. If I were in charge at Microsoft, I would make sure that it would happen and the world would be a better place because of it. I don’t know how much it would cost to do, but it would be a tiny fraction of its true value. If Instagram is now worth 50 billion dollars, the value of this software system would be incalculable. Microsoft needs to buy Alteryx. They need to buy the software and the people. They need to scrap all their ancillary tools of power query, M, DAX and whatever else they have in development for Power BI from a programming point of view. They need to replace the scrapped tools with the Alteryx engine. They need to continue their work on incorporating true GIS capabilities. They need to link the Alteryx engine to the best visual platform they can obtain, whether it be D3, highcharts, or some other high-quality visual platform. They need to expand the Alteryx tool set to offer more Revolution R capabilities since they already own that platform. They need to hire the following people (initials only and in no particular order or importance): MB, HW, JD, JM, JD, MM, KB, AW, DB, AM, KM, FA, BB, AA, SW, RS, CL, CB, TB, KH, RR, PR and a few others to fill critical roles. These people need to be put into a think tank and left alone to innovate. A few key Microsoft developers and some software architects that specialize in visual design probably need to be thrown into the tank, too. They need to pay these people at a level that will keep all of them focused for 2 to 3 years on developing the best data comprehension software ever created. When it is finished, they need to sell this product like they do Power BI, for a small amount of money per year. They could even double the price to $250 and it would still be a huge bargain. They need to give it away to all students world-wide so that they can learn it from an early age and they need to teach the teachers how to teach it (say that fast three times). If this plan were put into motion, we would have a new paradigm for achieving better data comprehension by 2020. This system could be used by the SpaceX engineers to get us to Mars.The Bill and Melinda Gates Foundation will have then achieved something that they never considered doing: building the best software platform possible that could be used to solve a large number of our world-wide problems. This plan would be revolutionary. It would be transformative. It would be awesome. The problem is, Microsoft doesn’t have the vision or the courage to be this audacious. I guess that is the great thing about being a dreamer. I can do whatever I want to make things better without having to justify my beliefs. I just know that they are true and in this case, I really don’t care who believes me. Just for the record, this is what Alteryx does for me every day. This is how I feel when I’m working with this tool. 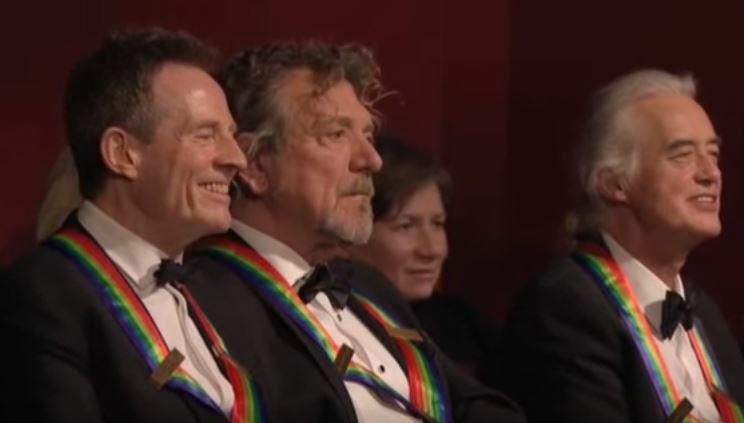 You can watch the whole video to see how these three are responding to this performance. If you haven’t done this yet, it is worth watching. Be very careful, however, because this performance will get into your head and you will have to listen to it about every day. Consider yourself forewarned. The other problem is that even if they were smart enough to buy them, it’s unlikely they be smart enough to let the Alteryx team continue to build the product. I appreciate how you have been following my recent work and being able to see what I see. I think it requires a person to have been working in the trenches for a while to appreciate what I am talking about with data comprehension and how the changes in the way we work are leading to improved abilities to comprehend data. There is one very key point in this article that I probably should have stressed. All the people in #1 (all Alteryx employees) and #7 (strategic visionaries) are combined and thrown into the think tank in #7, paid very well #8, so there is no temptation to leave, The most important words, however, come in point #7 – “left alone to innovate”. This means that although Microsoft owns the goods, they don’t interfere. No more legacy thinking, primitive ideas, and connections back to the past are allowed. This means that the Alteryx dev team continues their unbelievable work, but now they work along side of the people that are using the tool on an everyday basis along with visionaries in data visualization. This direct connection provides the explosion of ideas that will bring this system to the forefront. Alteryx is already the best tool for the 80% type of work, hands-down. If the dev team can work collaboratively with the visualizers and problem solvers, then the rate of innovative development for the 100% solution would increase dramatically. I guess I think of it this way. I’m telling Microsoft that they have been invited to the 24-hours of LeMans race and they can bring their best car. 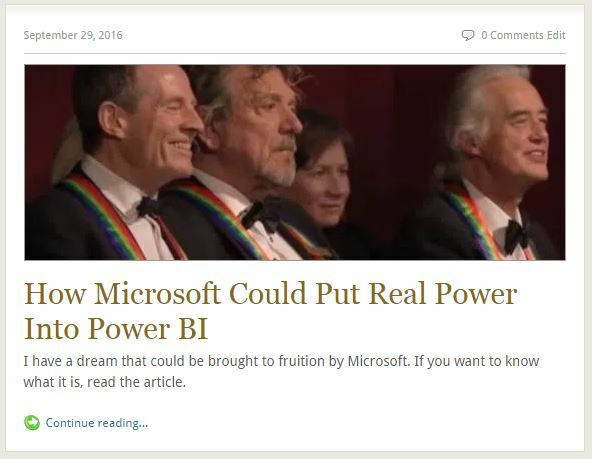 They would choose to bring Power BI. I’d tell them that the race is going to last about 10 to 20 years, and I’d ask them this question: “Are you sure you want to enter the race with that engine?” I would remind them that their engine is very new in its development lifecycle, I’d indicate to them that their engine is far behind the competition and is based on ideas from 20 year ago and does not have sufficient horsepower, structural integrity, or long-term durability to compete. The engine is not ready for this race, is what I would tell them. Being the nice guy that I am, I would make the suggestion to them that I wrote in the article. I’d say, why don’t you hire the team that has build the best engine for a race like this and add a team of master mechanics to replace the engine in your car with this proven engine? This multi-fuel engine is kicking everyone’s assess and is winning every race being run. It would be logical for you to replace your engine before the race begins, rather than working 10 years to catch up with where the leaders are now. If you want to have a chance to win the race, replace your engine. I like your idea but what Alteryx does is different from what DAX does. DAX allows you to create your calculations and query the model – even outside of PBI. Also remember that PBI is the little brother to SQL Server Analysis Services where DAX allows incredibly fast calculations over billions of rows, including the problem of many-to-many calculations. DAX has the power to make some calculations easy that are difficult and poor performing in other tools. It also allows complex calculations to be performed that are just not possible e.g show me customers who bought these combinations of products but not these other products. Thanks for your very insightful comment. I’ve got to find the time to dive deeper into DAX and M and start hammering Power BI in my Tableau vs Power BI series. So far Tableau has been winning, but it should be considering its maturity vs Power BI. I just viewed your blog for the first time, and man, is it ever awesome. I’m going to read all of your articles to learn more about those topics you explained so well. I hope you can find time to get back to writing. I can see you have a ton of experience to teach newbies like me about the power in Microsoft products.